Verses 2, 3, and 4 from Alex. 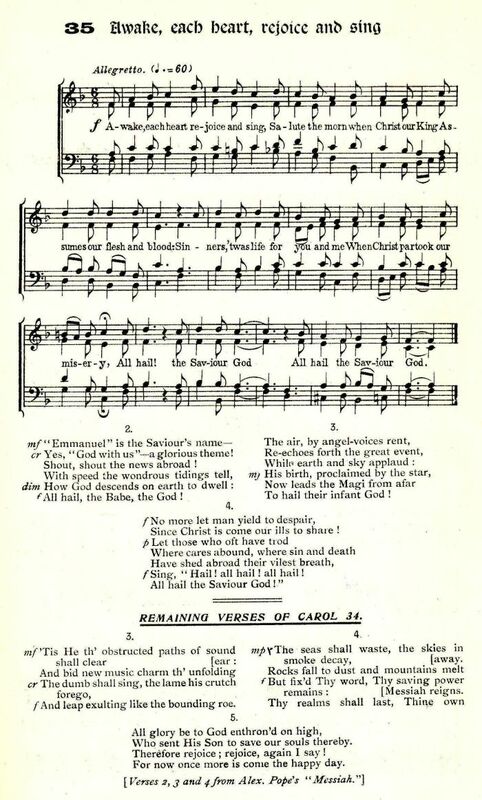 Pope's "Messiah"
Source: W. A. Pickard-Cambridge, A Collection of Dorset Carols (London: A. W. Ridley & Co., 1926), #35. Compare: Awake, Glad Heart! Get Up and Sing! All Hail! the Saviour God. Yes, "God with us": — a glorious theme! Shout, shout the news abroad! All hail, the Babe, the God! To hail their infant God! Since Christ is come our ills to share! Sing, "Hail! all hail! all hail! All hail the Saviour God!"